It wasn’t the showcase performance Maciej Sulecki had hoped to deliver in pleading his case for a title shot, but nevertheless a win that should get him to his desired next destination. The middleweight contender from Poland saw a near flawless performance versus Gabriel Rosado flirt with disaster, surviving a pair of late knockdowns after scoring two of his own to score a 10-round decision win Friday evening on the road in Philadelphia, Pennsylvania. The bout aired live on DAZN, which has become the home to the top middleweights, lncluding all four major titlists. Three of the four belts—along with the lineal middleweight championship—will be at stake on May 4 when Saul ‘Canelo’ Alvarez and Daniel Jacobs collide at T-Mobile Arena in Las Vegas, Nevada. 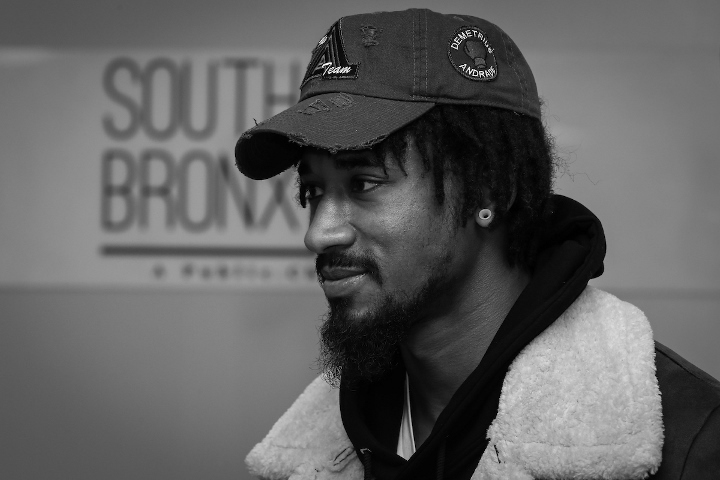 That leaves Demetrius Andrade on the hunt for an opponent, with the unbeaten Providence (RI) native seated ringside for Friday’s action-packed encounter. For eight rounds, Sulecki gave every impression of being a runaway favorite to land that very assignment. Then came a disastrous ninth round where he suffered two knockdowns and was fortunate to make it to the bell, but survived to secure the win in Rosado’s hometown. “I was stupid, I didn’t listen to my corner,” Sulecki (28-1, 11KOs) confessed afterward, although not at all apologizing for the win. “I lost my concentration, but I recovered. Sulecki will also have to be ready for the possibility of fighting in an opponent’s hometown for the third time in his last four starts should he land the fight. His lone loss came last April, losing a competitive but clear decision to Jacobs in his Brooklyn backyard. A fight with Andrade (27-0, 17KOs) could mean a road trip to Providence, with hopes of bringing the unbeaten titlist home for a title fight on either June 15 or June 22. His fight will likely be packaged in some capacity with DAZN's latest signing, former unified middleweight titlist Gennady Golovkin, whom is also eyeing a mid-June ring return for his platform debut. For Andrade's side, a title fight in Providence would mark his first-ever event in his hometown, having previously fought in nearby Lincoln, Rhode Island as well as throughout the New England area. His last such appearance in the region came in his vacant title win over previously unbeaten Walter Kautondokwa last October in Boston, Mass. Following a 12th round stoppage of Artur Akavov in January at Madison Square Garden’s Hulu Theatre, Andrade approached promoter Eddie Hearn about the possibility of returning to the main room on the June 1 undercard of England’s Anthony Joshua’s U.S. debut. Wherever his next fight lands, Andrade will headline his third consecutive DAZN card. By his own admission, his next potential assignment comes with some homework attached. “I admit, I haven’t seen much of Sulecki,” Andrade notes. “I saw him fight Jacobs and maybe one other time. [QUOTE=DeanoFlash;19596526]Precisely. The kid has been getting raw deals from his handlers his whole career[/QUOTE] Goddamn I just realized my autocorrect changed canelo's name lol. Yea. Andrade is screwed. Not getting one of the top guys until early 2020 at best.